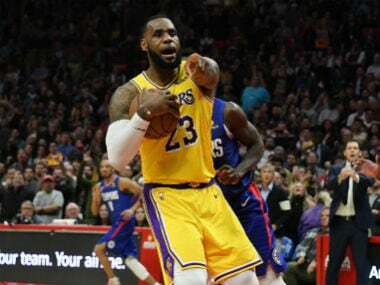 Los Angeles: Legendary superstar LeBron James will miss the NBA playoffs for the first time since 2005 as the Los Angeles Lakers were officially eliminated with a 111-106 loss to the Brooklyn Nets. 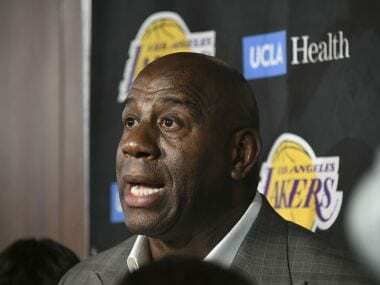 The four-time league MVP also had his eight-year run to the NBA finals snapped on Friday night as the loss takes the lowly Lakers out of the playoff picture for a franchise-record sixth straight season. "It is a tough season for all of us," James said. "It is not what we signed up for. Throughout the year things happen, suspensions, injuries. "You don't even try to wrap your head around it. Just keep pushing see how you can get better. The playoffs is never a promise. You got to come out and do the work. "For me personally, you do the work and see what you can do to help." James had 25 points, 14 assists and nine rebounds, but it wasn't enough to get the victory in a tight contest that featured 23 lead changes. The last time the NBA's best player wasn't in the postseason was in 2004-05, his second season with the Cleveland Cavaliers. James played in Friday's contest at Staples Center Arena despite missing games recently to get rest for his lingering groin injury. He also took a hard tumble against the Nets after slipping on the baseline while driving to the basket with 22 seconds left in the fourth. He left the game for one possession, then returned. James shot eight-of-25 from the floor in 35 minutes of action as the Lakers are now 2-11 in their last 13 games. "I took a pretty nasty fall when I slipped. Hopefully I will feel better tomorrow," said James, who missed a three pointer and committed a turnover in the final seconds. Asked how much more he wants to play this season, James said, "With us being officially eliminated, I will probably have a conversation with the coaching staff. Hopefully I can be in as many games as possible down the stretch." Joe Harris scored 26 points and former Laker D'Angelo Russell tallied 21 points and 13 assists for the Nets, who boosted their playoff hopes with their second-straight win during a seven game road trip. JaVale McGee had career highs of 33 points and 20 rebounds along with six blocked shots to lead the Lakers. When James signed with the storied franchise before the season, few expected him to extend his streak of finals appearances to nine straight, but not many thought it would be due to a failure to get into the playoffs. 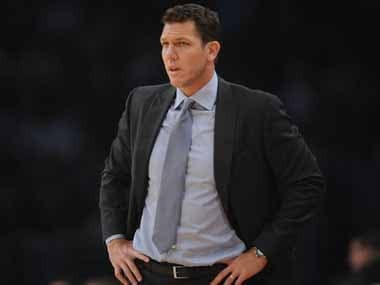 It has been a season of blown opportunities, broken promises and with the Lakers now officially out of contention late in the season, it leaves the coaching staff and the front office under fire. "I played a lot basketball over the last 16 years. 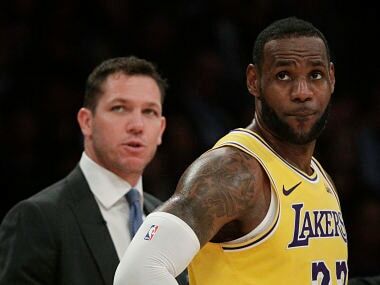 So for me to go into an off-season as healthy as possible will give me time to recalibrate my body and recalibrate my mind and get ready for next season," James said. With the struggling Lakers limiting James' minutes down the stretch, the forward had sat out two of the past three games heading into the Nets' game. 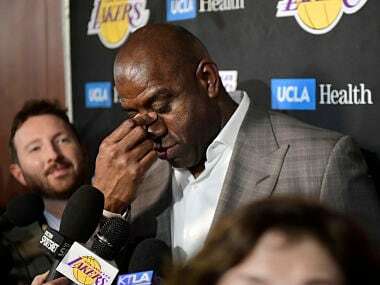 He did not play in last Friday in the Lakers' 111-97 loss at Detroit or Tuesday on Los Angeles' 115-101 loss to Milwaukee. Three-time champion James was doing his part by averaging 27.5 points, 8.5 rebounds, and eight assists this season, but he hasn't gotten consistent help from an inexperienced supporting cast. "One thing you can't control is injuries. Throughout the whole season we just had bodies, bodies, bodies be down. It is hard to get chemistry on the floor," he said.